HomeBlogsGo Beyond Mykonos and Santorini to discover the Jewels of the Mediterranean. Greece is undoubtedly the dream destination for many and the reasons are quite simple. 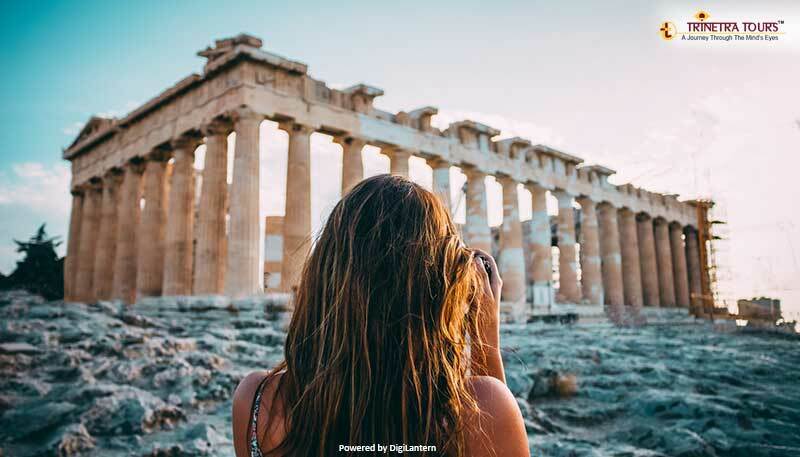 Greece is adequately blessed by the mother nature and what makes it even more fascinating is the mysticism of the Greek Gods who intrigue travelers from all around the world. Although Mykonos and Santorini get the most hype, travellers must explore Greece beyond these. Let us take you on a journey where you get to explore the best of Greek Mysticism and ancient history. A home to many prehistoric settlements, Athens is the city which gives you the glimpses of early Greek civilization. Many ancient structures still stand in the capital city – the Acropolis and the Parthenon are just two of the must-see UNESCO relics. It’s not just the architecture of these historical monuments but you can easily find many panoramic views even in the small streets of the city. Also, Athens is the best place if you want to treat yourself to an authentic Greek meal and the most happening nightlife. One of the most famous archaeological sites in Greece, Mount Olympus holds a special place in the Greek Mythology as it is also known to be the home of the ancient Gods - the 12 Olympians including Apollo, Zeus, Artemis, Athena, Hera, Poseidon, Hestia, Demeter, Hermes, Aphrodite, Ares and Hephaestus. 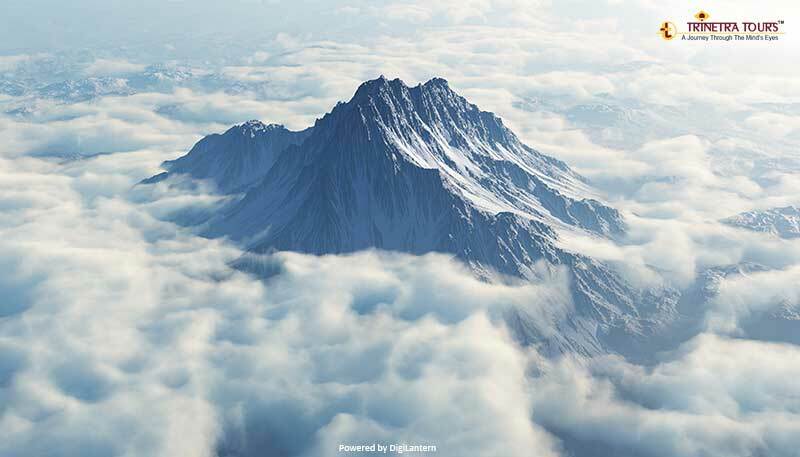 In 1938, Mount Olympus has declared the first National Park of the country. So, would you like to go hiking the home of the Greek Gods? Sure, you are going to love it! Just take a look at the sky-high sandstone peaks and the monasteries built at the magnitude of 400 meters (in the picture below), unarguably wondrous and breathtaking! It is such a unique experience, a rendezvous of mesmeric nature during the sunsets, historical heritage, and the riveting architectural sense of the Greeks. These rocks are believed to be around 60 million years old and as the history says monks settled here around 15th Century. Initially the number of the monasteries was 24 out of which only 6 monasteries are remaining today. 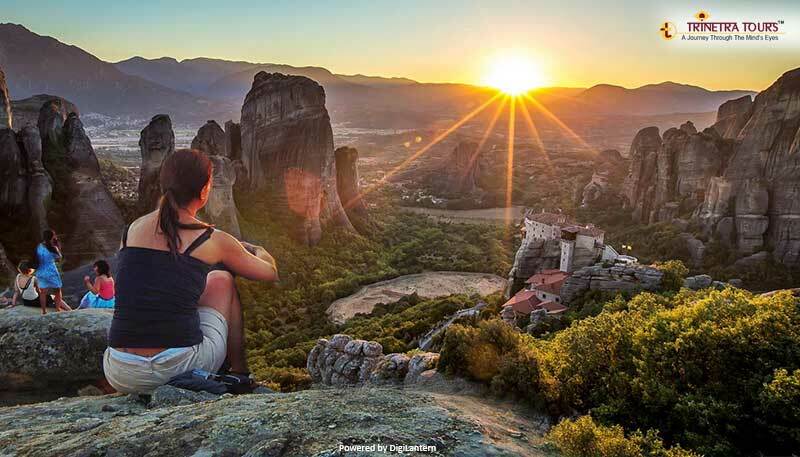 The Meteora is listed among the UNESCO World Heritage and has been declared Natura 2000 Ecological Zone by the Greek Government in order to preserve the rare species of flora & fauna. 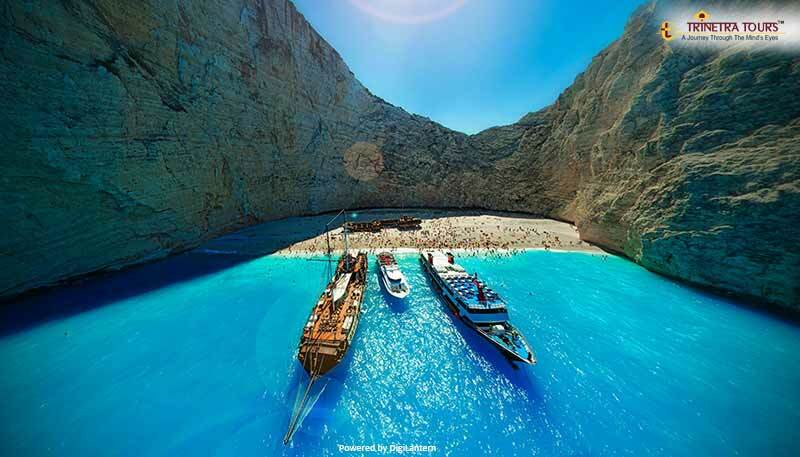 The Greek Islands are so beautiful that no other word than ‘Surreal’ can do justice to them. You can spend an entire day by the beach while indulging in the activities like scuba diving in the caves, snorkeling with the turtles, kayaking, trekking and cycling with the most amazing views of the ocean. From the parties of Mykonos to the stunning sunsets of Santorini and the thrilling adventure sports at Zakynthos, hopping around the Greek Islands is something every traveler should experience at least once. 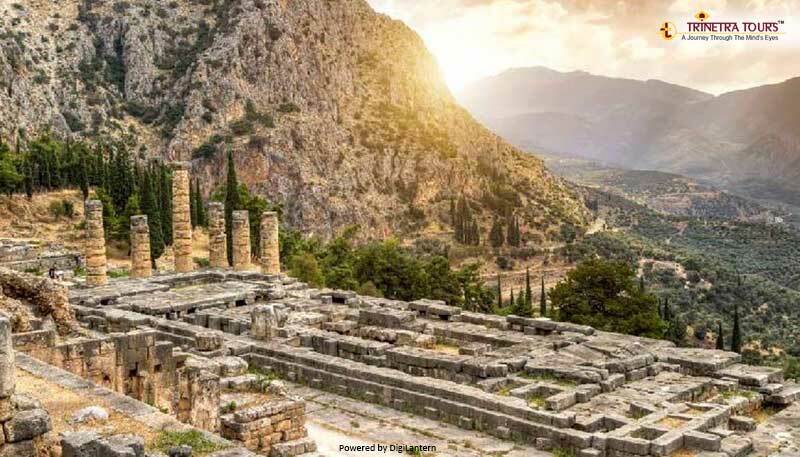 Delphi is Greece’s most sacred site which was originally known as ‘Pytho’ became popular because of the Oracular powers of the high priestess ‘Pythia’. As the legend goes ‘Pythia’ could communicate with God Apollo and foresee the future. So, people from around the Mediterranean came to seek advice from her. In Greek mythology, it is said that Delphi was the centre of the ancient world as heaven and the earth met here! The ruins of the Apollo temple, Treasury of the Athenians and a grand theatre which could accommodate 5000 spectators, the mystical Tholos (temple of Goddess Athena) would make you wonder whether our ancestors were much ahead of us at least in the terms of architecture. Who would not want to visit a place which captivates a traveler in so many ways? If you have already started planning your Greek holiday in your head, let us help you with our ‘End of the year Bargains’. Yes, you read it right! Trinetra Tours are offering special discounted packages on various Global Destination Tour Packages. Contact us at tours@trinetratoursindia.com for a detailed information.